Gardening Group - Bray School Project N.S. the beautiful school garden are welcome ... & needed! or talk to a staff member. This week, Carol and the Garden Committee welcomed two judges from the School Garden Competition (organised by Bray Grow It Yourself and Edible Bray). 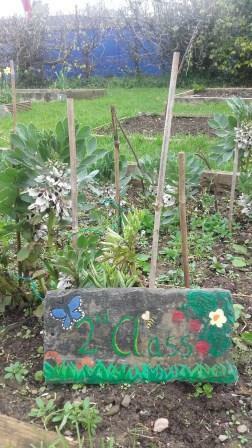 We think they were impressed with all the work and changes to the grounds and veg plots since last year! They judges were very interested in the two species of wild orchid growing in the school. 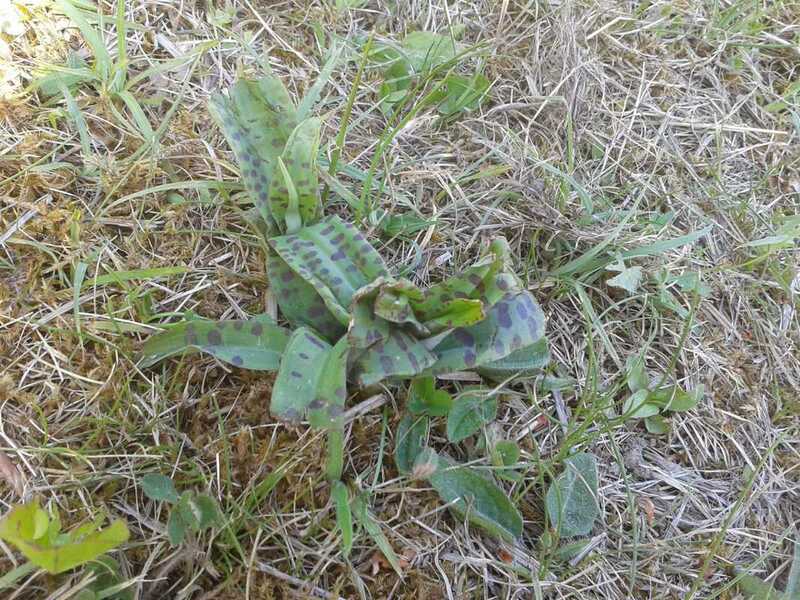 We identified them as the Western Marsh Orchid and the Common Spotted Orchid. 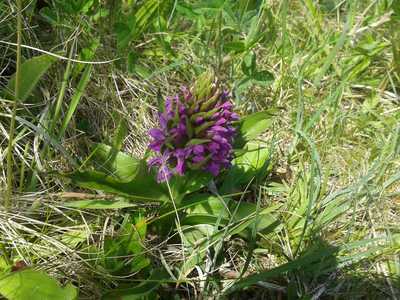 Do look out for these exotic looking flowers growing all along the meadow bit at the back of the school! It was a long Winter and a slow start to Spring, but the garden volunteers came out of hibernation back in February to start planning, seed buying and inspecting the garden plots. There were only a couple of mild days in March, but we managed to make the most of them and get a few classes out to do some early planting. April saw lots of activity in the garden, trying to make up for the late start! There was lots of tidying, digging, weeding ... and eventually the rest of the classes came out to visit the garden and do some planting. If the weather is kinder to us from now on, we should manage to have some sort of harvest before the Summer break! The whole garden is looking spick and span at the moment, with a big thanks to Malcolm (the new caretaker) for all his work and suggestions. 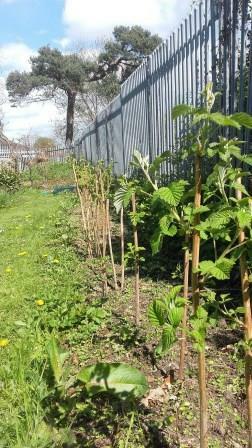 The hedges/trees have been cut back to let in more light, the compost bins have been re organised and a long row of raspberry canes have been planted along the fence for all to share. The herb wheel survived the Winter and the children enjoy walking around it and smelling/tasting the plants (mint, thyme, rosemary, lavender, lemon balm, chives). The circular bed is having a proper make-over this year: The plan is to fill it with seasonal bulbs which we will lift from the plots in Autumn. 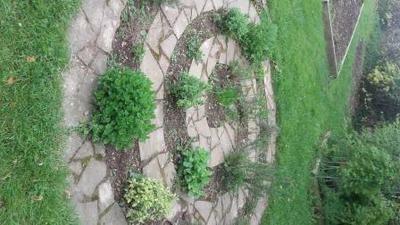 A new square seed bed was also created and has been planted with a mixture of veg. The seedlings will be moved to the plots, to replace any bulbs. Unfortunately, the new seed bed was trampled on by a dog (we think!) 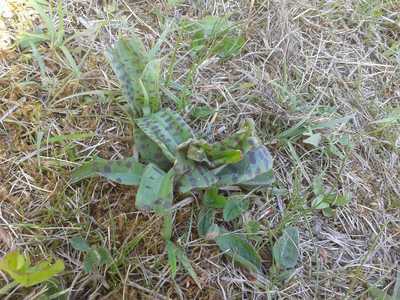 soon after it was planted. The seeds got all mixed up but are probably fine- we just won't know what's what until they grow! A net has been put over the seed bed now to protect it. 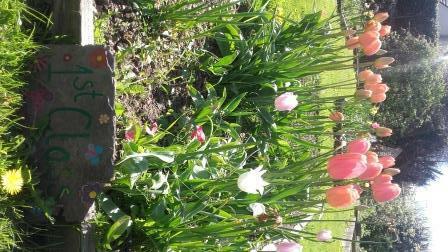 Last Autumn, the Junior infants planted a nice mix of Spring bulbs, which eventually produced a wonderful bright display! The children picked a daffodil each and presented them to their teacher. Some very impressive pastel drawings of the daffodils are hanging in the classroom now! In April, the children planted carrots and potatoes. They also planted watercress in little pots, which are crowding their classroom windowsill nicely now! We are also hoping to plant a pumpkin in time for Halloween- when they will be big Senior Infants! Senior Infants made the most of a rare good day before the Easter break and managed to plant peas out. They have been busy since then, planting beetroot and carrots. Beetroot brownies, anyone?! First Class have a lovely show of pink tulips at the moment. They are trying sunflowers this year.. all they need is some sun! They've also planted carrots in their plot and some lovely mint to take home. Second class planted broad beans last Autumn, and after some emergency staking back in February, they have managed to flower despite the nasty Winter! They are also planting lettuce in the plot and gorgeous Virginia Stock flowers to take home. Half of third class were out planting parsnips in the plot, and the other half planted sweetcorn in pots, to plant out later on. (Don't worry, everyone will get to taste the sweetcorn!). Some of third class also helped to plant a mixture of veg in the new seed bed too. 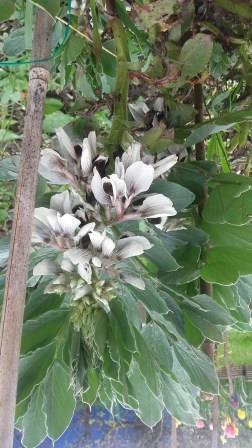 Fourth class also managed to get their broad beans through the Winter. They have been staked and are starting to show flowers. They are also planting sunflowers in pots to grow on at home. Fifth class were very organised this year and managed to prepare the plot, sprout potatoes and plant them out before St. Patrick's day, as per tradition! They are expecting and deserving a good harvest of spuds for the pot this year! Sixth class have planted spinach already. Since this is their last year in the school, and the new intake of Junior Infants will be using their plot in September, they had a lovely idea to plant something which the next generation can harvest when they join the school! It's the circle of life in action in Bray School Project! Classes 7 and 8 had great fun planting potatoes back around St. Patrick's Day too- and are really looking forward to digging them up! Thank you to all the volunteers for all the help planning, preparing and planting in the school garden so far this year! There will be another garden update in June.